Play TeeBoxx Golf - Welcome to TeeBoxx Online - Teeboxx is the ultimate Golf Training Aid that can be used by the beginner Golfer or the seasoned golfer the same. 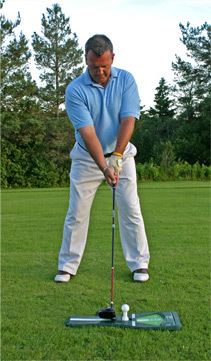 It is the perfect golf swing training equipment. 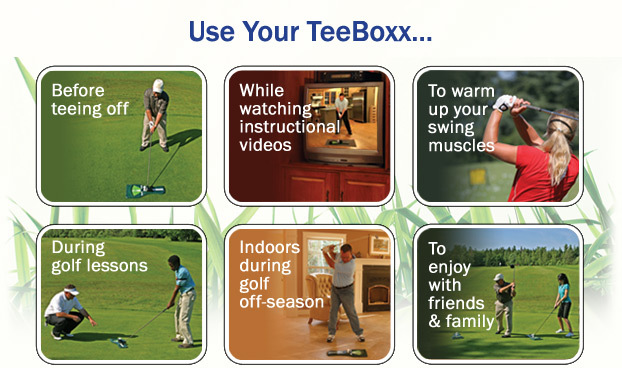 The TeeBoxx is also a great warm-up device for golfers prior to playing a round of golf. Most test respondents used the TeeBoxx as a warm-up and exercising tool, before playing a round of golf, and to practice their golf swing. Many respondents used the TeeBoxx with friends and family as well. Almost all the testers indicated that they would continue to use the TeeBoxx. This is a statistical anomaly which indicates that the TeeBoxx will find wide acceptance among golfers. 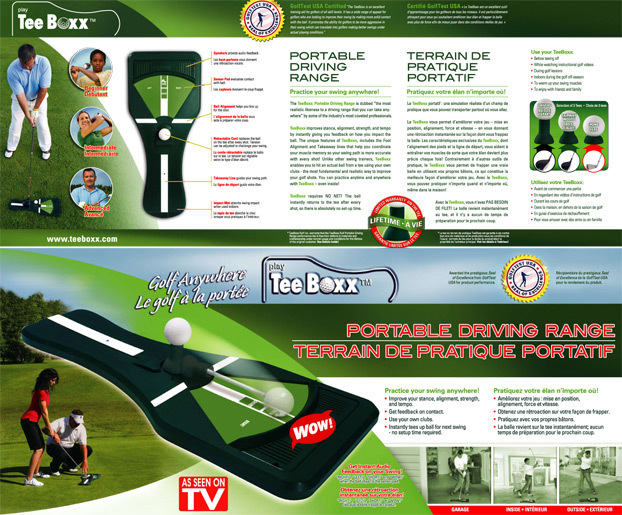 Golf instructors say TeeBoxx adds a new dimension in teaching. TeeBoxx makes it easy for beginners to remember all their golf alignment and ball position. You can view the TeeBoxx's packaging below. Click on the image for a larger version.